Today’s workout is thanks to Sara Ottley of Burn It Fitness. Thanks Sara! You can submit your own awesome workouts to share with everyone right here. Complete these exercises, in the order shown. Repeat exercise list with 40 reps each. Don’t have kettlebells? Use dumbbells instead! I have been a Pt for 7 years and run an outdoor fitness company (Burn It Fitness) on Blackheath, South East London. We offer Iintensive 4 week Boot Camps, drop in fitness classes and PT. I am totally passionate about my fitness and outdoor training. I’m also a Mum of 2 little girls and kettlebell addict! Do you learn better by doing rather than just reading? 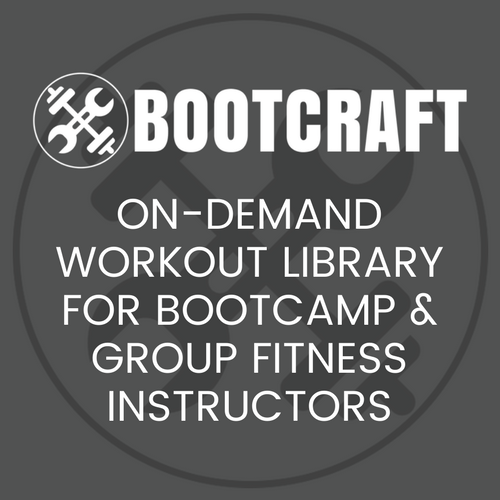 Are you looking for some new ideas to use at your bootcamp? Well for the next few weeks I’m visiting the UK and while I’m here I would love to meet you. That is why you should come into London on May 3rd to my Bootcamp Workshop & Meet Up. This is a hands on practical workshop along with a chance to ask myself and other trainers how we run our bootcamps. I have allowed plenty of time for Q&A as well as plenty of time to teach you a whole heap of new drills. Tickets have just gone on sale today. There are 12 early bird tickets for just £60.